Available NOW on Amazon and Ravelry! 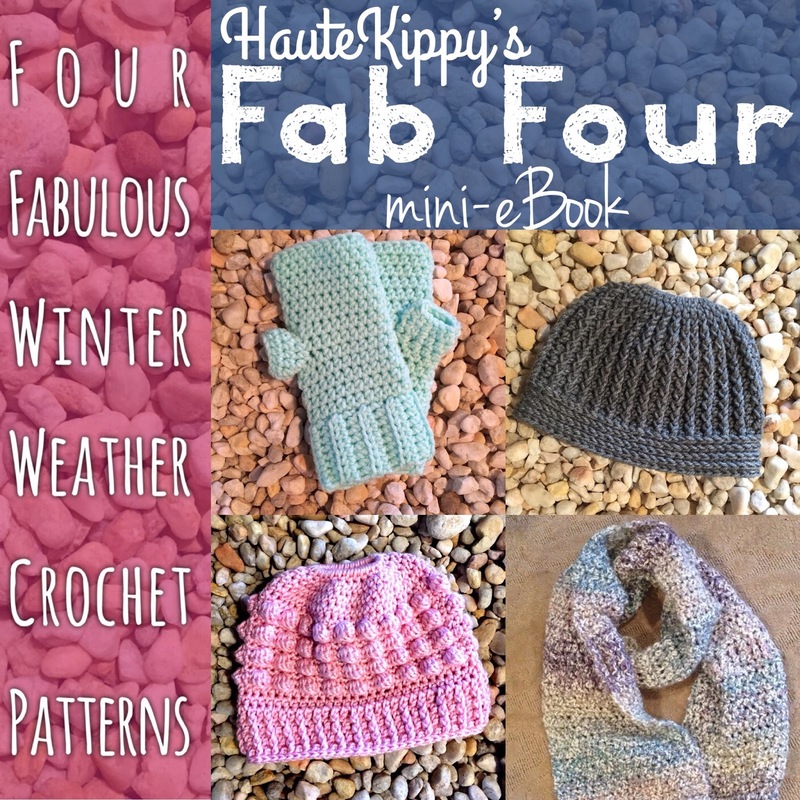 The eBook, Haute Kippy's Fab Four: Four Fabulous Winter Weather Crochet Patterns has been published to amazon, available for FREE to those with Kindle Unlimited! It is featured there at a discounted price. Save 30% off the price of purchasing all four patterns individually. Save 10% off the price of purchasing all four patterns individually with the Ravelry version! As always the web versions remain free. This special compilation of my most popular crochet patterns was curated carefully for you and features bonus instructions. It is a convenient alternative to web viewing and makes the patterns printable, portable and completely yours to own and enjoy. 10 lucky winners did receive a free advance copy of the PDF eBook a week before it was published to Amazon. I'm pleased to share that the subscription drive was very successful and hundreds of HK fans are receiving free pattern updates of my latest content straight to their inboxes! 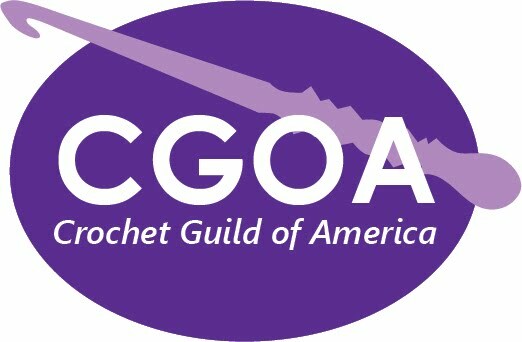 You can subscribe here, and don't forget to join our new crochet pattern sharing Facebook group! Due to a puzzling lack of participation (which I am working feverishly to remedy) the giveaway deadline has been extended to New Year's Eve. Subscribe to the blog by midnight Dec. 31st to be entered to win one of ten free advance copies of my new eBook featuring four winter weather crochet patterns! 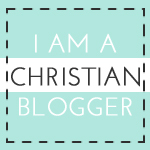 This post marks an amazing milestone for the Haute Kippy blog, and for me! I am excited and thrilled to announce that I have met (and surpassed far beyond my wildest expectations) my goal of attaining 20,000 pageviews for the Gina Messy Bun Hat pattern. Actually at this point to date, we are well over 30,000 pageveiws and counting. I could not be more surprised at your response to my patterns, because of you, my blog has surpassed all my goals for the year and reached over 115k views! This may not seem like a lot, but to me, it means the world. I am so happy! I love sharing my free crochet patterns and I'm proud to announce that to celebrate this momentous occasion, I've decided to publish my first eBook. It's a collection of my most popular winter weather patterns. It's called "Fab Four" and will launch in January. But you can win an advance copy! I'm giving away 10 advance copies actually! If you would like to win a free advance copy of my new eBook including four winter accessory patterns all you have to do is subscribe to my blog right now! On *January 2nd* (the new date) I will pick 10 random email addresses from my subscriber list and those lucky winners will be emailed an advance copy of my new eBook. Winners receive a PDF download to keep and enjoy a full month before the eBook launches for ePublication! That's right, hit that little "subscribe" button and you could win! My eBook will retail for $12.99 and will include the Cross My Heart Scarf, the Fingerless Quick Mitts, Kip's Bun Hat, and the Gina Bun hat PLUS extra information like stitch descriptions, construction photos and a super secret surprise never-before-published bonus pattern! How fun! What happens when you hit subscribe? Well not much actually. All that will happen is two things: 1. You will be entered to win the eBook, and 2. You will get an email every time I add a new post to my blog. So will I spam all up your inbox? No way! I only publish 2-4 new crochet patterns per month, so you will only be notified when there is new free content on the blog for you to crochet. That sounds so nice doesn't it? If you'd like to share this giveaway with friends or a crochet group then please do! You can share this blog post or the facebook contest post on HK's page. Thanks for reading, and thanks for hooking! I can't wait to tell the winners the good news! Have yourselves a happy little Thanksgiving!